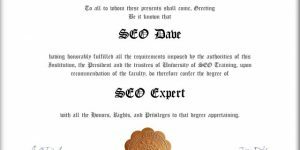 Comment on Blackhat SEO Community by SEO Dave. 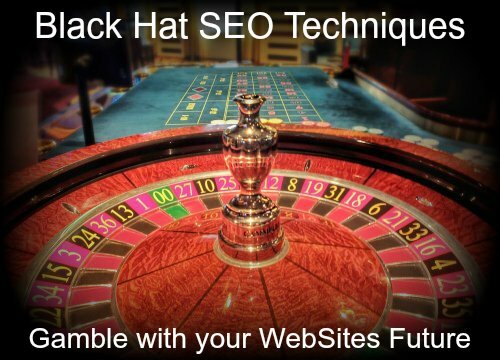 Looking for some blackhat SEO’s to test their Black Hat SEO software to test the Stallion Responsive Comment SPAM filters, see Blog Comment SPAM Features for more details. I used to use Akismet to block comment SPAM and it would filter most SPAM comments to the SPAM folder, but it also caught false positives and with Akismet 3 you had to have Jquery running for their SPAM honeypot to work correctly. 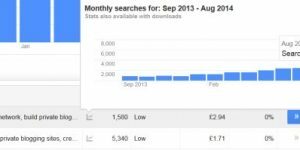 Akismet has two major performance SEO fails. 1. Comment SPAM isn’t blocked before it’s added to the database, this means if your blog generates a 1,000 blackhat link comments a day, that’s 1,000+ database connections etc… to add the comment to the SPAM folder. Until you clear SPAM you could have thousands of comments in your database that are potentially slowing down the MySQL connection. 2. If you don’t have other feature on your WordPress blog that use Jquery (my website doesn’t use Jquery for example), you are loading a 100KB plus JS file (the Jquery file) and a small Akismet JS file. You have a performance hit from having to download 100KB+ for JS files and a hit for downloading Jquery which is render blocking. Jquery is render blocking, what this means is the 100KB plus Jquery file has to fully download before your main content is downloaded. Google PageSpeed Insights Tool throws out a render blocking warning when Jquery is used on a blog. There’s other issues with Akismet I won’t go into, result was Akisemt had to go. I dropped Akismet almost 2 months ago, at the time I could receive over 1,000 SPAM comment a day on this site. I’d built some new SPAM comment filter features into Stallion Responsive 8.1 and it decapitated the amount of SPAM I had to deal with. I’ve gone from up to 1,000 SPAM comments added to the SPAM folder by Akismet a day to some days none. On an average day I’ll see a comment or two in the moderation queue that’s SPAM and nothing in the SPAM folder. The Stallion Responsive SPAM filters prevent SPAM comments being added to the database, so no performance hit. Only issue I’ve had is with the WordPress security nonce I was using on comments forms. I didn’t realise the nonce had a 24 hour time frame (actually 12 hours really) which means you can’t use a caching plugin which sets the HTML cache longer than 12 hours. I use W3 Total Cache and I was working on squeezing out better performance and had increased the HTML browser cache to above 12 hours (the default is under 12 hours) and this means the nonce was cached too long and stopped real comments (fixed now). My next Stallion Responsive Update (will be 8.2, working on it now) will include an option to have or not to have the security nonce, basically set the browser cache above 12 hours, don’t use the WordPress nonce. Anyway, to blackhat SEO’s I think Stallion Responsive can prevent most automated comment SPAM software, so would like to see some real blackhat SEO software testing by actual black hat comment SPAMMMERS. My filters won’t catch manual comment SPAMMERS unless they are really dumb and make mistakes that trip the filters: put your email address in the address form and another form field and it trips a SPAM filter for example. To those in the blackhat community which black hat SEO tools do you use and why? When I was comment SPAMMING for black hat SEO backlinks there weren’t any publicly available SEO tools aimed at blackhat techniques.